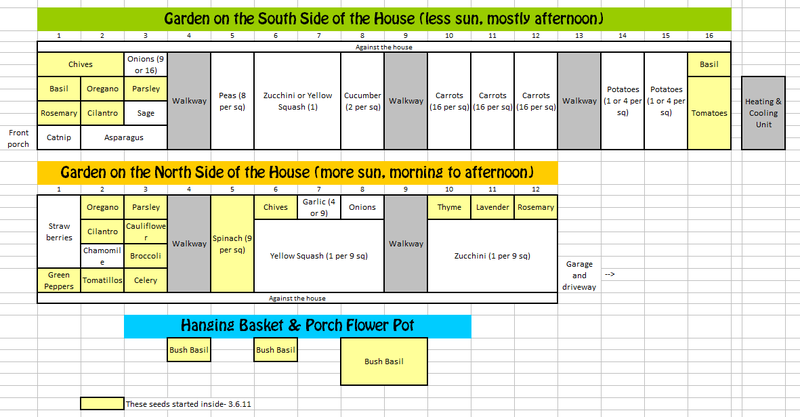 Here are photos of Charity’s square foot garden plans–the photo on the left is located on the south side of her home, while the photo on the right is on the north side of her home. Last year I started both raised beds with 40 gallon water tubes to help water the plants and wasn’t able to grow as many vegetables. I got tired of the water tubes taking up so much space and tried to plant some things in its place. This year I’m planning to do a square foot garden in both raised beds. I want to do the grids in a cheap fashion and thought about using dowel rods. I don’t want to dig up my potatoes too early again this year and need to figure out a way to give them space in the ground to grow. I planted strawberries from Lowe’s last year and didn’t get more than 3 strawberries from the plant. I would love to grow watermelons in the garden but never got one over a 4 inches wide last year that didn’t crack. They’re not currently in my grid plan. I like to step in my garden and poke around at the plants so this year I’m planning walkways around things I might want to check out often. Last year was my first year planing broccoli and I just planted mine on the outside square so it could grow over the box. Also I planted carrots behind them so they were not competing for space. They did awesome. For an inexpensive grid this year I used old vinyl mini blinds. I had several that my husband had drug home from his job (construction-handyman). I cut the strings at both ends, pulled the center string out, then pulled the side and center support off while holding the slats with a firm grip. I stapled them together, then measures them 2″ longer than my boxes so I could fold the end and stick it in the dirt, holding them down on windy days. I will probably eventually add u-steaks for added holding. I am also using cut blind slats for plant markers this year, and love it. I found a tip the other day for strawberry beds, someone mentioned that they placed red marbles out in their strawberry bed before they bloom, or as soon as they start to. Then by the time they do have strawberries, the birds are convinced that what is in that bed is not worth eating. 1. Watermelons crack because of irregular watering. They need regular watering to keep the deep and wide roots happy. Drip irrigation works well as long as it is consistent and regular. 2. Strawberries need a year to establish themselves. You will get more this year if they survived the winter. The first year I usually don’t let my strawberry plants bear at all — I pick off the blossoms so they concentrate on establishing good, strong root systems and thick growth. 3. I would advise against ever walking on your garden. Part of the philosophy of Square Foot Gardening is that compacting the soil by walking on it prevents the plants from flourishing. That’s one of the reason to use beds that aren’t too wide to reach into to work. If you absolutely must walk on the soil, lay down a board to evenly distribute the weight. 4. I agree with Emily about placing plants that don’t need as much light on the North side of your house. The North side generally doesn’t get enough light to support good growth in many vegetables. Short season crops like greens, radishes, green onions, etc. should be OK.
Hi Charity, I see you’re from Richmond. I’m from Mt. Sterling. I just found your blog and love what I see so far. 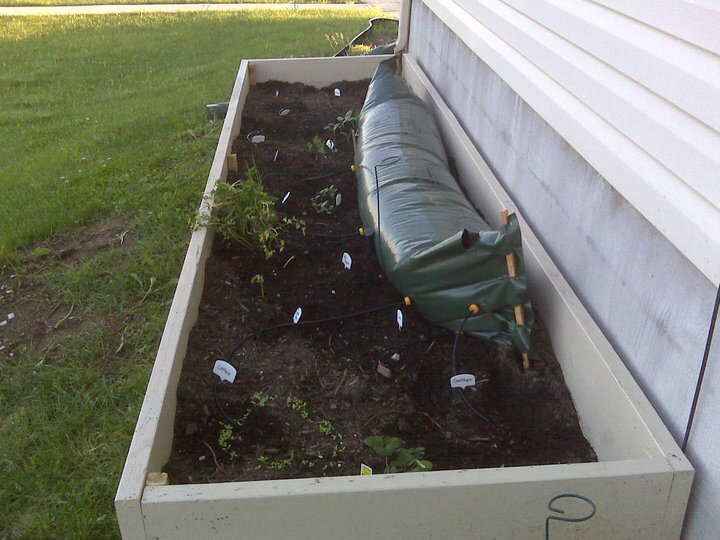 I plan to do square foot gardening this year. Thanks for the pictures and the plan! I chose this one for several reasons–first, I thought it was an interesting method of irrigation, one I had never heard of. I’m sorry to hear it was not the best use of space. 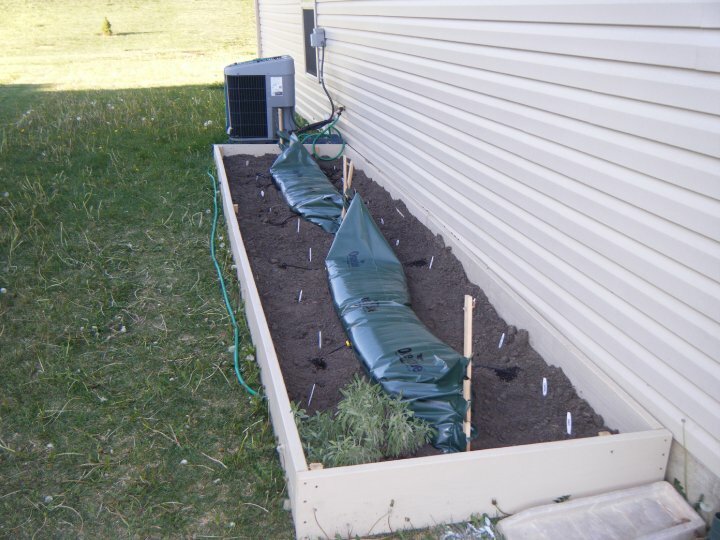 Go here for different ideas on how to water your garden, and this post gives step by step instructions for drip-irrigation. I also thought it was important that you’ve found the need to create walkways–I suggest when designing square foot garden beds to make sure they are not deeper than 2′ from where you can reach. So for a long stretch such as yours, I suggest making the beds 2′ deep, or building several 4×4 beds with 3′ aisles in the middle. This is essentially what you’ve done by creating walkways between sections of your garden. 1. Check out my post on pruning zucchini (and yellow squash). If you use this method you will significantly increase your available space–instead of taking 26 squares, you could grow these in just 3! Maybe plant 2-3 extra to make up for lost productivity, but that would still put you ahead 20 squares! 2. I suggest you consider growing vegetables that need less sun in the south garden–this includes veggies such as broccoli, cauliflower, spinach, onions, peas, and carrots. 3. 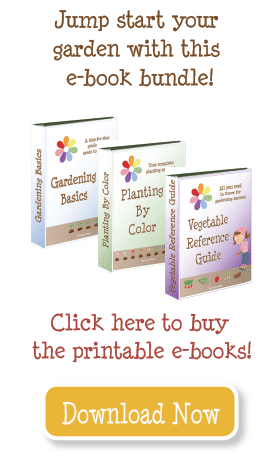 Check out the companion planting guide; according to this, you should not grow potatoes and tomatoes near each other. I think the reason is that they are susceptible to the same diseases. 4. I think it’s a GREAT idea to put heat loving plants like tomatoes, squash, or melons by the heating and cooling unit. If this puts off hot air (like mine does), it will actually help it along. 5. You might want to give the cauliflower and broccoli a little more space–more like 18″ for each one, or 4 in 9 square feet. You might use the space gained by pruning and staking the zucchini. 6. Garlic usually gets planted in the fall, grows all winter, and harvests in the summer. You can try growing it from spring to fall–nothing to lose! This looks great–I’m very excited for you!